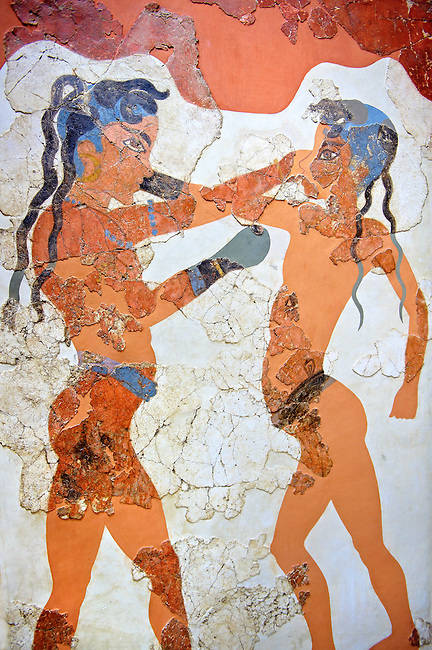 Minoan Fresco wall painting of " Boxing Youths" from Minoan Bronze Age settlement of Akrotiri on the Greek island of Thira, Santorini, Greece. . Athens Archaeological Museum.